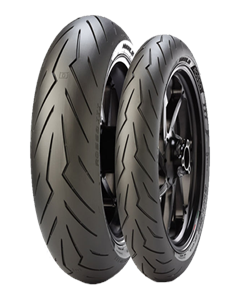 Pirelli technology developed within the World Superbike Championship. Unprecedented handling for a new generation of sporty behaviour. Bi-compound with wide side soft stripe offering full grip starting from mid lean angle. Large footprint area for improved adherence.